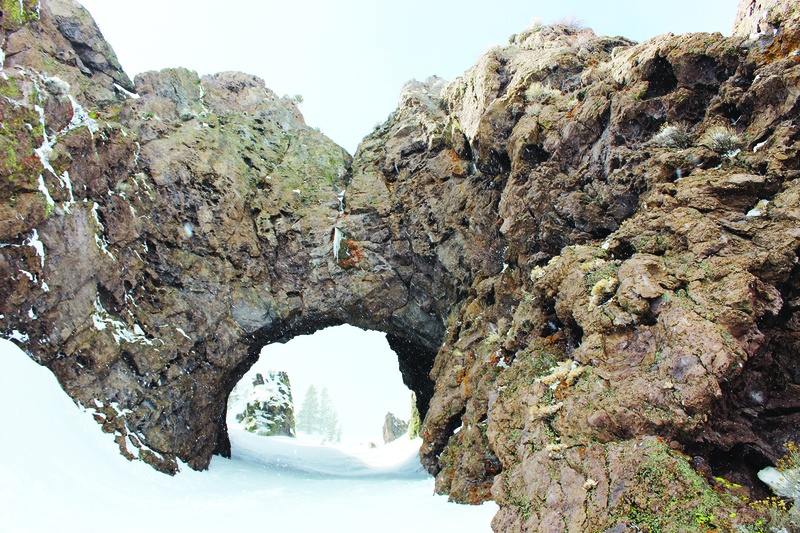 On March 19, 2019, at approximately 3:50 p.m., Mono County Sheriff’s Office received a 9-1-1 call reporting that a person was seen falling from the cliffs above Twin Lakes, across from Tamarack Lodge and north of “Hole in the Wall.” Our Dispatch immediately sent personnel from Mono County Paramedics, Mammoth Lakes Fire Department and Mammoth Lakes Police Department. Paramedic and firefighter personnel hiked up to the location of the fall and determined that the individual died as a result of the fall. Mono County Sheriff’s Office responded to handle the Coroner’s Investigation. The deceased was identified as Justin Khoshnevis, 31 years old, of Los Alamitos, California. His next of kin was notified shortly after his body was recovered. It appears that Khoshnevis, who was alone, came across the ridgeline from “Dragon’s Tail,” which is out of bounds from Mammoth Mountain Ski Area. He was possibly attempting to ride “Hole in the Wall,” a popular backcountry chute, but it is not accessible from that approach. Khoshnevis’ snowboard was found along the path of his descent. Anything outside the ski area boundary is considered backcountry.